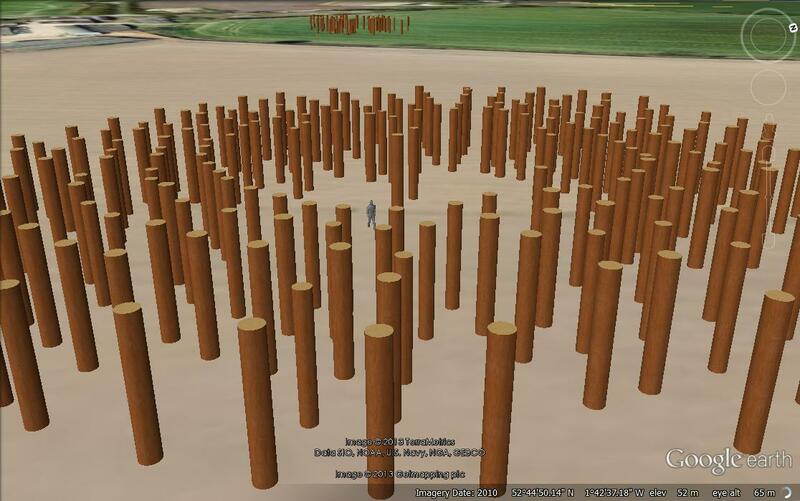 “At the Woodhenge Monument we excavated 23 pits, some from each of the five rings. They were around a metre in diameter and in places over a metre deep, and straight-sided. Three contained the remains of oak timbers (flecks of charcoal and dark soil stains), confirming the morphological suggestion that they once held uprights, presenting something of a forest – a total of 195 tall posts in five rings each of 39. As well as the circular arrangement, the pits effectively form 32 radiating lines, comparable to the 12 lines at the Sunburst Monument. 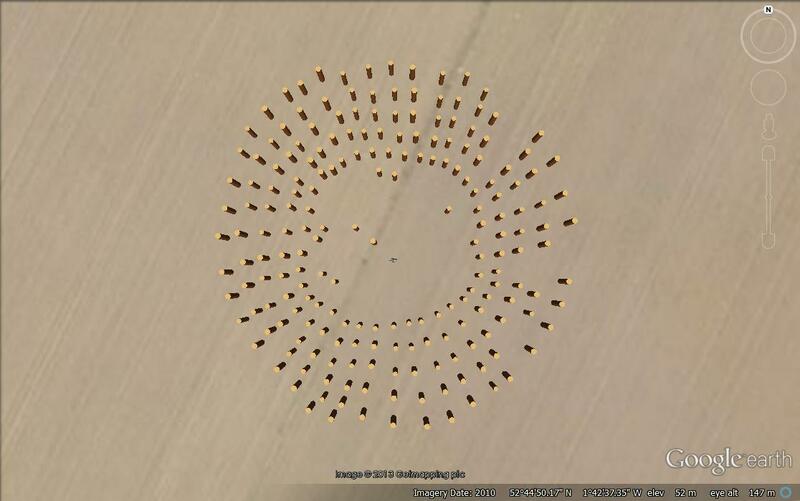 The Catholme ‘Woodhenge’ from above. 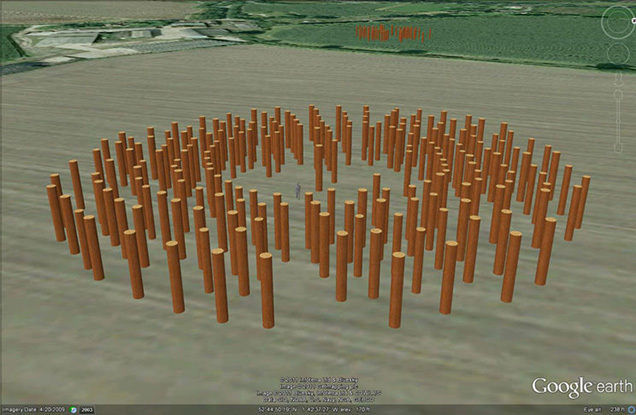 The Catholme ‘Woodhenge’ with ‘Sunburst’ in the next field.